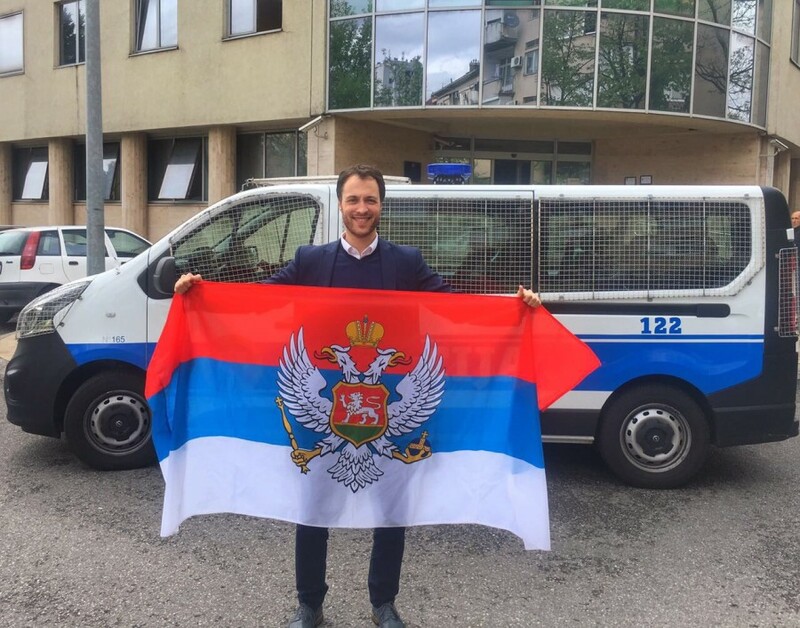 The Montenegro party Democratic Front (DF) condemned the police interrogation of the President of the Prava Crna Gora (Real Montenegro) party, Marko Milačić, over the burning of the NATO flag on the square in Podgorica. The DF pointed out that Montenegrin officials, as a democratic step, qualified wearing flags of “the terrorist KLA and welcome those who committed monstrous crimes against the Serb and Montenegrin people in Kosovo and Metohija”. “Recently, the whole of Montenegro had the opportunity to see the Albanian parties in Tuzi celebrate their victory in the elections, by carrying the flags of the terrorist KLA, with frenetic chanting for those who committed monstrous crimes against the Serb and Montenegrin people in Kosovo and Metohija. However, that was not enough for the prosecution to initiate an investigation, but rather the regime officials qualify this act as a democratic step that needs to be understood”, the DF said in a statement. DF assess that every position different from that of the regime in Montenegro is subject to criminal prosecution, which is another proof of the political maiming of judicial institutions. The announcement states that, with Milačić’s interogation, authorities continue with the brutal suppression of the democratic freedoms proclaimed by the Constitution, because of the public expression of the political attitude and opinion. “Clashes with the political opponents in Montenegro have become a rule, trying to suppress any kind of democratic resistance, so that this totalitarian system can be rounded up under the law. That is why the idea of ​​the democratic liberation of Montenegro should be supported even more strongly”, the DF said. The leader of Prava Crna Gora party, Marko Milačić has set the NATO flag on fire in the Independence Square in Podgorica, saying that every April 4, as a form of resistance to the occupier, “torches of freedom” will be lit. After interrogation by the police, on Thursday, Milačić said that NATO “burned down the country” and that is why he had to set their flag on fire.